This photograph was found in the archives of the Library of Congress. As yet, there have been no official documents that have surfaced detailing what this 1921 meeting must have entailed. It might have been only a courtesy call, with a photo op at the end. Fr. Andrew went on to observe that, based on the photo, the other bishops appear to have regarded Metaxakis as “first in seniority among them.” To read the rest of Fr. Andrew’s post, click here. Why am I bringing all this up again? Becasue I believe I now know when and where this photo was taken, and why all these bishops were in the same place. On December 9, 1921, Abp Meletios Metaxakis was elected Patriarch of Constantinople. He was in New York at the time, having been deposed from his previous position as Archbishop of Athens. With Bp Alexander Demoglou, Metaxakis had come to the US to organize the Greek-American churches into a unified archdiocese. The New York Times (12/10/1921) announced that one of Metaxakis’ first acts as Patriarch would be to appoint Alexander as bishop of North and South America. 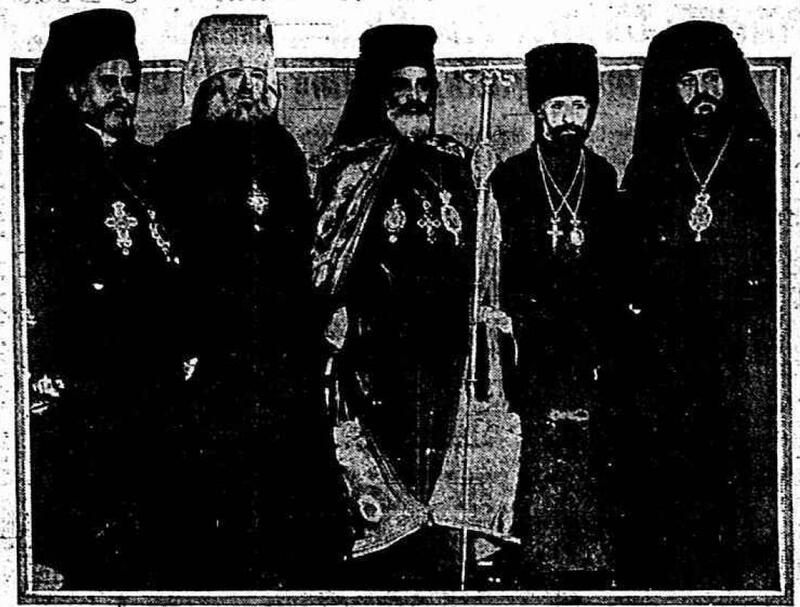 This photo, of the December 19, 1921 gathering of Orthodox bishops, appeared in the New York Evening Telegram the following day. Comparing the two photos, it’s quite clear that they were taken at the same event, probably within moments of one another. The Evening Telegram photo doesn’t include the non-bishops, Polyzoides and Andronoff, but it’s possible that they were just cropped out before publication. 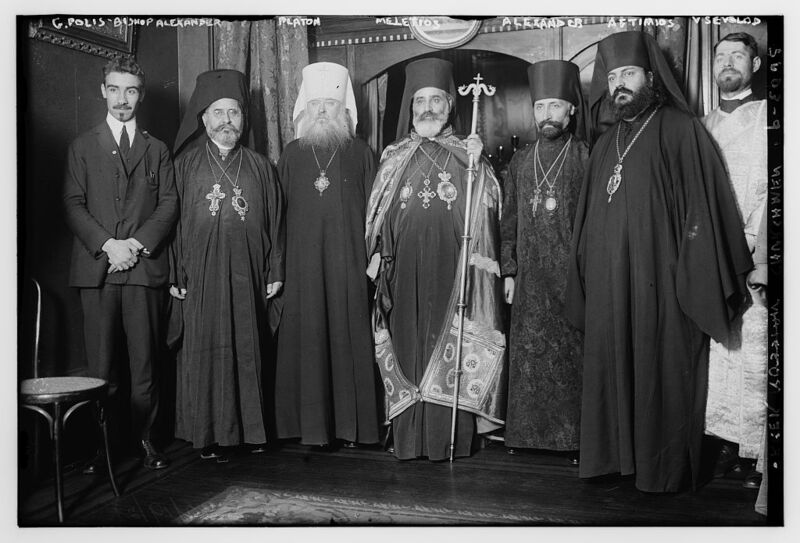 The event itself, the pan-Orthodox liturgy, is evidence of the rather friendly (or at least cordial) relations between the Greek and Russian hierarchy in 1921. Speaking to the Evening Telegram (12/19/1921), Fr. Patrick Mythen expressed what must have been on the minds of the Russian bishops as well: that Metaxakis’ election as Ecumenical Patriarch marked the first time since the fall of Constantinople that the Patriarch was elected without the consent of the Turkish sultan. He would thus be “politically free and will rule the Church as a priest and not as a politician.” Mythen meant that Metaxakis would not be bound to the Turkish state, but I’m sure many today would find his words ironic, Metaxakis being the controversial Church politican that he was.